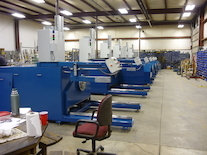 ProgressTAC offers advanced material handling and conveyor solutions to support a wide variety of product sizes and shapes. 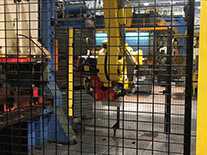 Efficient designs enable minimal system footprint and can be integrated with existing material handling components for a complete, automated system. 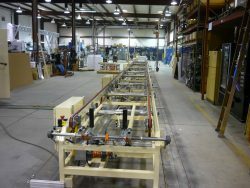 Fabricated in-house, ProgressTAC can provide slider bed, roller bed, and chain conveyor models. 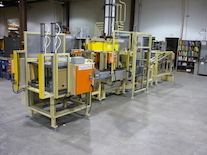 Feeding parts and packaging to machinery or operators. 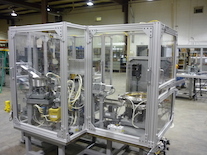 Moving product through a machine or an individual station. 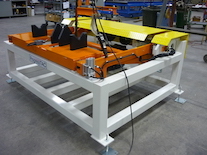 ProgressTAC’s line of material handling conveyors are designed to handle all stages of the manufacturing process. 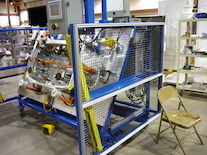 The equipment built here conveys multiple products from auto glass to appliances to crankshafts and camshafts. 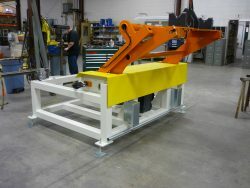 ProgressTAC can customize to suit your company’s material handling needs. ProgressTAC conveyors are found in fast-paced production lines around the world. 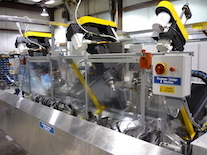 When your assembly line is running smoothly and performing efficiently, your company can move faster and smarter.